The Cheltenham Festival starts tomorrow, and with it the excitement of the horse racing and jumping season will truly begin. Beginning with Cheltenham and moving through the spring and into the summer in the U.K. and U.S. alike, this is a season packed with fun, festivity, and great competition. It's all fun to keep track of year in and year out, but it's even better to get a glimpse of the action in person, at a major racecourse. Could I wear my top hat for that race? If this is something that appeals to you, or if you're getting the chance to visit a major racecourse for the first time this year, here are a few things you should know. If you're interested in horse racing, you've probably noticed that fashion tends to play a role in the biggest events. But until you actually visit a popular racecourse for a big occasion, you probably can't quite grasp just how big that role is! The truth is that from the Cheltenham Festival to the Belmont Stakes, fans dress up in all kinds of extravagant outfits, reflecting both the setting of the event and the general festivity of the sport. At Cheltenham that means fun, rustic outerwear with accessories like boots and elbow-length gloves; at the Grand National in April, colorful dresses and high-heels celebrating the warming weather; and at the Royal Ascot, high-end formalwear. There's a pageant-like aspect to horse racing fashion, and embracing it is one of the best ways to enjoy these experiences to the fullest. The best place to start is with a race day hat, considered to be the signature piece of any racecourse outfit and the best tool for showing off inventive, quirky fashion. Check out Telegraph's look back at the best hats from the Royal Ascot last year and you'll get the idea. Sports betting is popular all over the world and for a variety of sports, but it plays a bigger role where horse racing is concerned. Sure, plenty of racegoers are actually looking to make money by picking one horse or another and playing the odds. But a lot of people get into the betting scene with small amounts of money simply to learn more about the different horses running and gain a closer connection to the races. Using Cheltenham as an example because it's the next major race that's going to take place, you can easily see how the betting culture can help make spectators feel closer to the action. Betfair's horse racing page has posted numerous articles about the top competitors, complete with updated odds, news about horses' health, comments from trainers, etc. Whether or not you actually end up placing much money on a horse, browsing through this kind of information gives you an idea of which trainers to follow and which horses you may want to take an interest in. The fun of a major racecourse extends well beyond the tracks. While most are ultimately there to see world-class horse racing, there's also a certain draw to the overall atmosphere at the courses. It includes festive crowds in addition to typically great venues for eating and drinking in between major contests. At Cheltenham, that means a few popular restaurants (one or two of which actually overlook the tracks), as well as a popular Guinness Village sponsored by the popular Irish brewery. 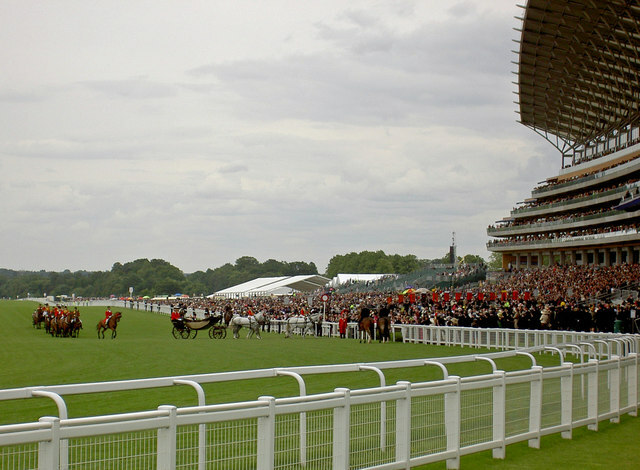 At the Grand National and Royal Ascot, it means a collection of restaurants, champagne and cocktail bars, and sports bars. This isn't to say that food and drink are the main points of visiting a horse race, but you should expect some down time between contests, and embracing some wonderful dining options is a great way to fill it. Finally, before attending any major horse race, you should be prepared to get hooked. A lot of big sporting events are mostly about the teams or players competing, and for that reason they stand alone as individual events. But when you take in an occasion like the Cheltenham Festival, Royal Ascot, etc., you're essentially entering an atmosphere that feels similar year in and year out. The horses change gradually over the years as old ones phase out and younger ones take their places, but the actual festivals remain captivating in a familiar way from year to year. So if you attend, be prepared to discover a new passion you'll want to revisit! Thanks to DavidS for providing the input for this post!